Apple introduced Shortcuts in iOS 12 as a method for automating a sequence of actions. You can launch shortcuts from the Shortcuts App, from the iOS Today View, from the iOS Home screen, or by asking Siri. To help get started, we created a library of ready-to-use shortcuts you can browse, download and customize. These ready-to-use shortcuts cover many common actions you are likely to want to automate in CasaTunes, including shortcuts to control the music in a room, control playback, and select music. Shortcuts are one way dealers can add value to a CasaTunes installation, providing customers with an easy way to simplify and automate a complex sequence of actions. It even allows integrators to combine actions across multiple apps. This tutorial will walk you through the steps of installing, customizing and running a pre-made CasaTunes shortcut. 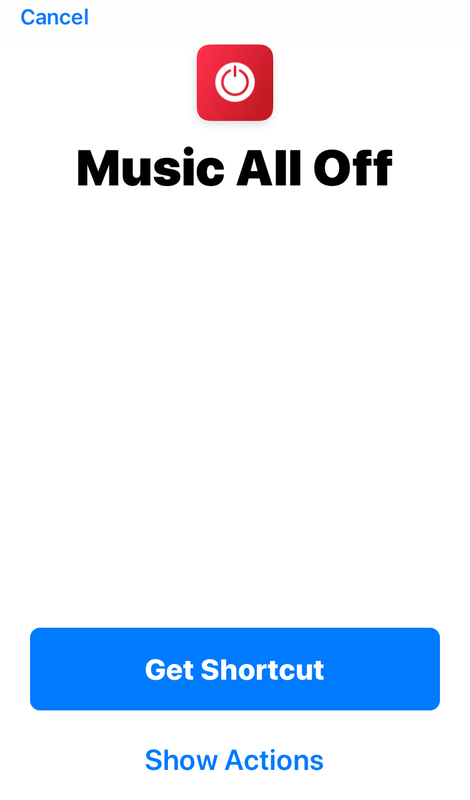 Download the Music All Off shortcut. Tap Get Shortcut. If the shortcut you download is customizable, you will be prompted to configure the shortcut. 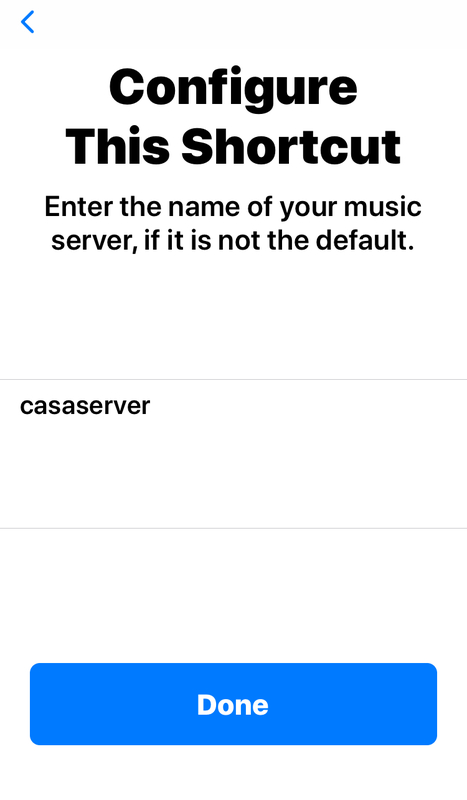 For this sample shortcut, you can configure the name of the music server. 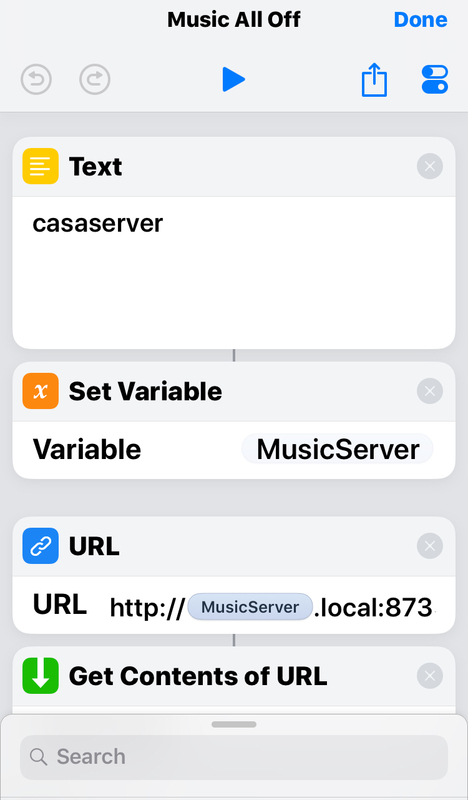 By default the shortcut is configured to use CasaServer, but if you changed the default name of your music server then you can specify the new name here. Other CasaTunes shortcuts allow you to configure other parameters, such as the room a shortcut should control, the amount to adjust the volume, etc. You can change the settings for the shortcut, by tapping on the Settings button, in the Shortcuts Editor view. Add this shortcut to Siri. 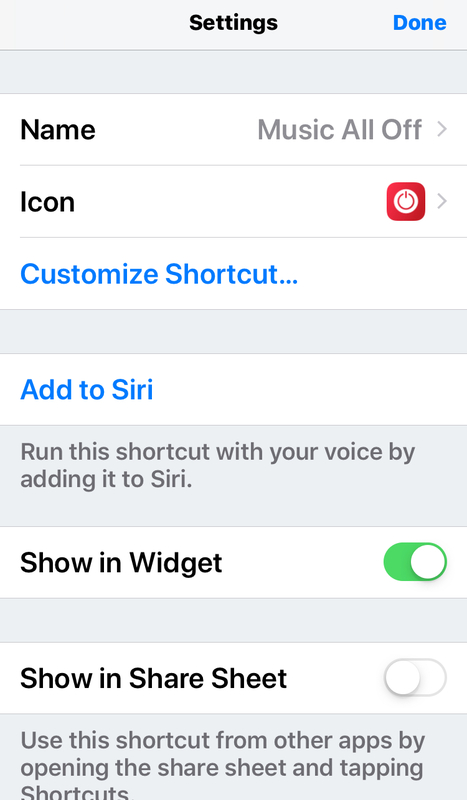 If you select this option, you will be prompted to record the phrase you want to say to invoke this shortcut using Siri, for example, “Music all off”. 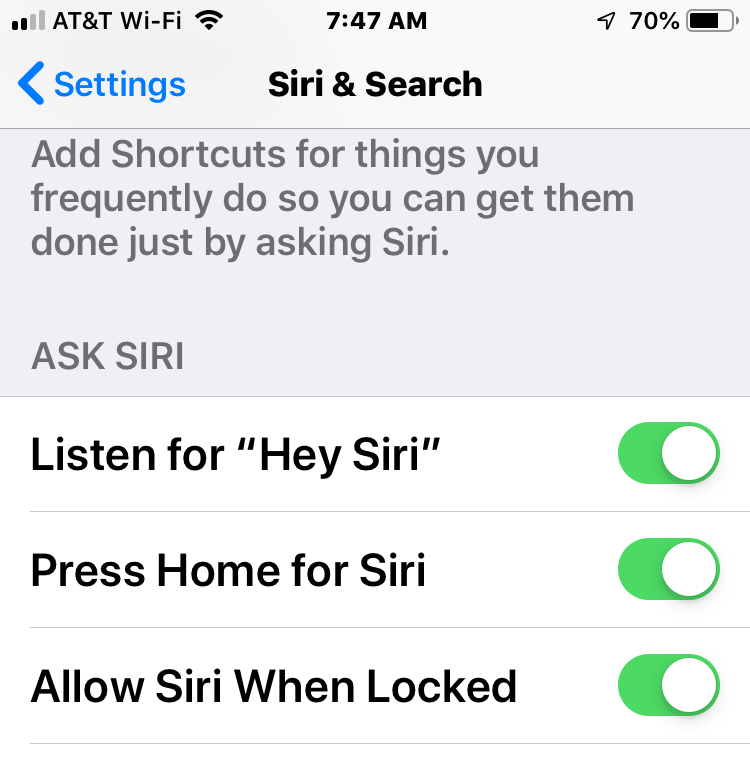 To run the shortcut using Siri, say "Hey Siri, Music All Off"